Earth Day is Monday, April 22, but why stop there? We’re hosting a celebration of sustainable learning, shopping, and living all week long. 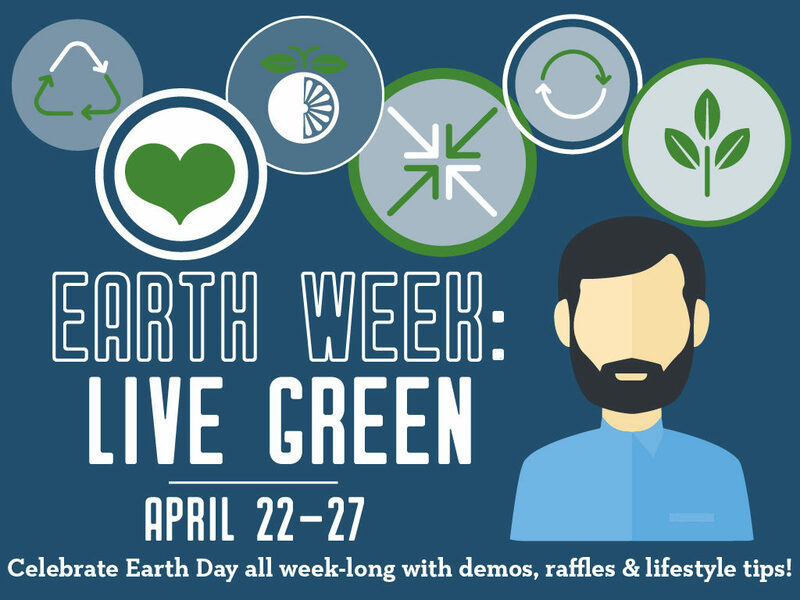 Join us each day for free demos, samples, giveaways, and practical tips for improving your life while shrinking your environmental footprint. Stop in for plant-based food demos, kids’ cookie decorating* (3-6 pm), and more. Celebrate all of the great local products we have in store, with some of our favorite local vendors sampling their products! Does the bulk aisle intimidate you? Stop in for a bulk aisle tutorial! Bring in your clean, empty jars and we will weigh them for you. we’re planting wheat grass caterpillars from 3-6 pm! Recycling & composting can be tricky to navigate—come by and learn from the experts! Carver & Hennepin County Recycling representatives will be in store to answer your questions. We’re closing out the week with a bang! Check out tons of local products, kids’ cookie decorating* (10 am-1 pm), and a free electronics recycling event hosted by Tech Dump!